UPDATED: Thu., March 1, 2018, 6:25 p.m. The Whitworth men have been down this road before: west on I-90, then south to Walla Walla. On Friday, the Pirates will make their third and most important trip of the season to wine country, for the NCAA Division III tournament. “We’ve got a great opportunity Friday,” said Whitworth coach Matt Logie, whose second-ranked Pirates (24-3) face Claremont-Mudd-Scripps of California in a first-round game at Whitman College. 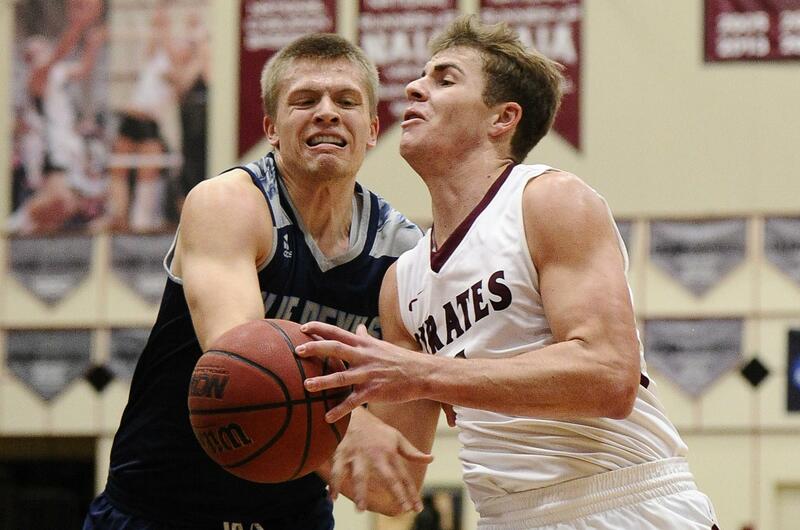 Tipoff is at 5:30 p.m.
And if Whitworth fans are looking toward a potential second-round matchup with top-ranked Whitman on Saturday, Logie and the Pirates are having none of it. “We’ve got to get to that game and so do they,” said Logie, referring to Whitman, which faces Schreiner University of Texas in the other first-round game at the Sherwood Athletic Center in Walla Walla. A year ago, at the same site, the Pirates failed to do that, falling to Claremont-Mudd-Scripps 78-73 while Whitman later went on to the Final Four. The Pirates are coming off a dramatic 91-88 win Saturday over previously unbeaten Whitman in the Northwest Conference championship game, also played in Walla Walla. NWC Player of the Year Kyle Roach hit a long 3-pointer to win that game, which included 16 ties and 16 lead changes. The Pirates enter their 12th NCAA Tournament after winning 12 of their last 13 games, the only loss being a 100-99 setback against Whitman in Spokane. Claremont-Mudd-Scripps is back in the NCAA tournament for the 10th time under 20th-year head coach Ken Scalmanini (355-164). The Stags are 19-7 overall but rolled through the Southern California Intercollegiate Athletics Conference with a 15-1 record. Michael Scarlett is the two-time SCIAC Player of the Year. The 6-foot-4 senior guard averages 18.9 points per game and makes 42 percent of his 3-pointers. Kendrick Morris, a 6-9 senior post, was a first team All-SCIAC honoree with averages of 13.9 points and 7.8. If the Pirates win, they’ll face the winner of Friday’s nightcap between Whitman (26-1) and first-time NCAA entry Schreiner (15-13). Whitman has gone wire-to-wire as the top team in the D3hoops.com Top 25 poll. Senior guard Tim Howell, a first-team All-NWC pick and last season’s NWC Player of the Year, averages 17.8 points. Schreiner, from Kerrville, Texas, won the Southern Collegiate Athletics Conference regular season and defeated Centenary in the SCAC championship game. Published: March 1, 2018, 5:28 p.m. Updated: March 1, 2018, 6:25 p.m.